I wish you a Merry Christmas, Happy Holidays and Happy New Year! 2010 was a great year for me and mine so I am even more excited for 2011. Bring it on! 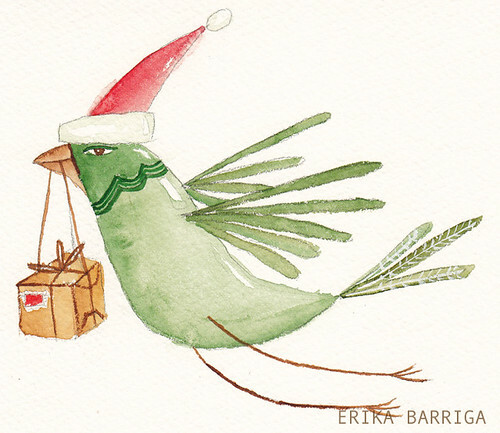 This is my attempt for the theme of Mail for Illustration Friday and it is also an entry for 52 Designs. I did some last minute gift shopping today and it was crazy. This was the first year I didn't go out shopping before the sun came up the day after Thanksgiving and I think it threw me off a bit. But now our tree is extra pretty with lots of packages for family and friends. Be safe out there and have a great time!